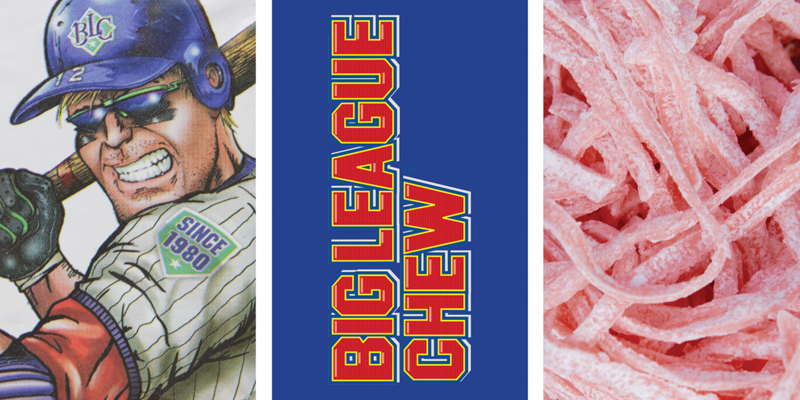 Having reached $18 million in sales in its debut year of 1980, Big League Chew has sold more than 800 million pouches. Rob Nelson still remembers one particular afternoon 40 years ago as though it were yesterday. It was 1977, and Nelson was a wannabe sports star whose left-handed pitching had only been good enough to land him on a Portland, Ore., minor league team called the Mavericks. Warming the bench beside him in the Civic Stadium dugout was Jim Bouton. Bouton had once been a famous New York Yankee, but Ball Four, his tell-all book about the drinking and skirt-chasing in the Major Leagues, had made him persona non grata with the ball clubs—all of them, that is, except the lowly Mavericks. So the two men sat in the dugout, watching the players out on the diamond—many of whom had wads of chewing tobacco stuffed into their mouths. 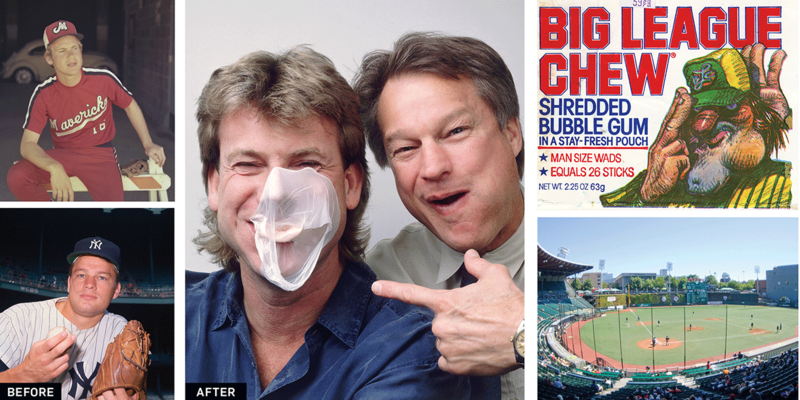 Before they went into business together, Rob Nelson and Jim Bouton had baseball careers (Nelson as a Maverick and Bouton as a Yankee), but Big League Chew would turn them into entrepreneurs. The original pouch (top, right) featured art by Bill Mayer, whose Mad-magazine-style caricatures would become as famous as the gum. The dugout where Nelson and Bouton dreamed up their bubble-gum brand was in Portland, Ore.’s old Civic Stadium (above, right), where the Mavericks played until the team dissolved in 1977. Nelson responded that he had—once. But plug tobacco was so nauseating that Nelson had barely tolerated a minute with it before feeling sick. Bouton nodded: He had the same experience. Another couple of minutes passed, and Nelson decided to share an idea that had been knocking around his head for a while. When he was 11 years old, Nelson had stuffed his mouth with bubble gum so he could look like White Sox second baseman Nellie Fox—famed for the bulge of pouch tobacco sitting in his left cheek. The idea of substituting gum for tobacco had always lingered in the back of his mind. The cartoon: The original hard-nosed, down-and-dirty ball player has been cleaned up a bit in recent years, but the character remains a tradition dating back to 1980. The flavor: Rob Nelson’s first flavors included root beer and maple—so “awful” tasting he abandoned them and just let Wrigley’s R&D department handle it. Bouton did sell the idea—to Wrigley, after putting $10,000 of his own money behind it. 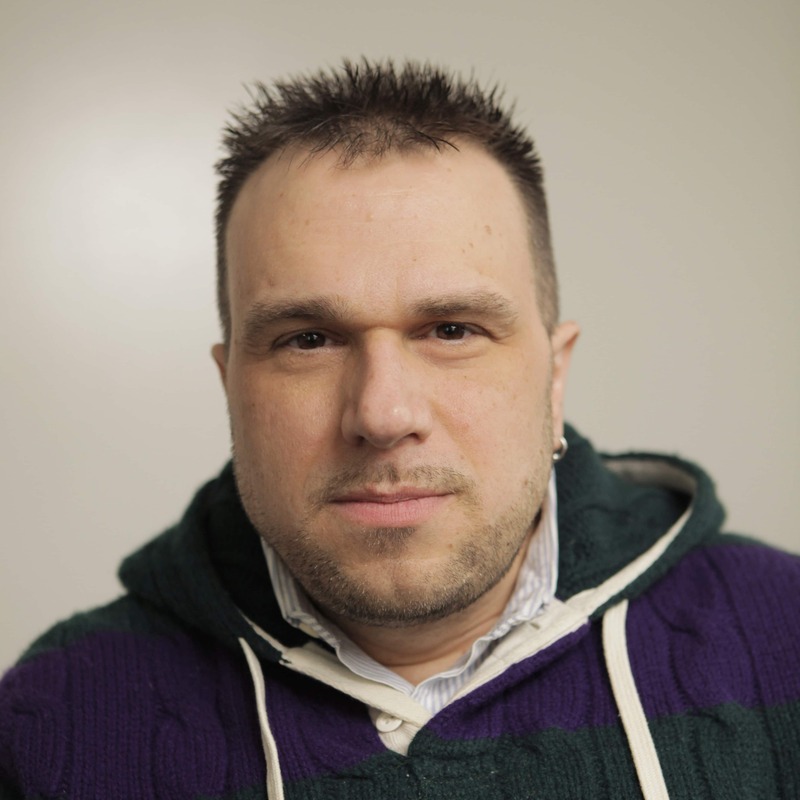 Nelson worked on product development. After seeing an ad for a make-it-yourself gum kit in the back pages of People magazine, Nelson baked up a tray of gum in the oven and then used a pizza cutter to slice it into ribbons. 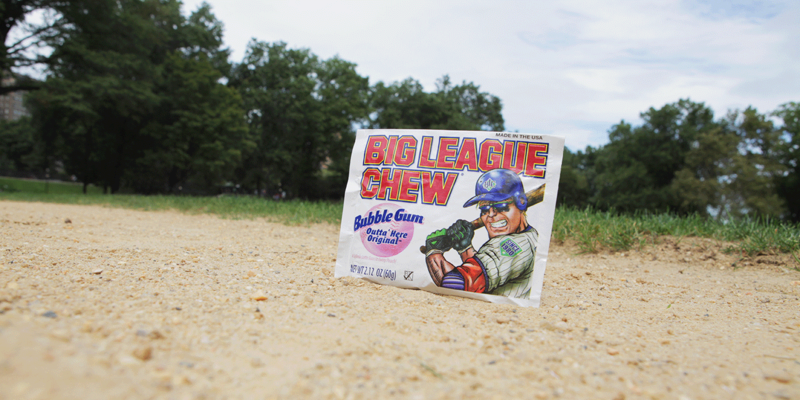 The first batch tasted like hell, but Big League Chew (a name Nelson had also thought up in the dugout) was on its way to the big time. Except for a TV spot in the early 1980s, Big League Chew hasn’t done much in the way of direct marketing. A genuine connection to baseball seems to be enough. Earlier this year, Nelson was finally invited to the Baseball Hall of Fame in Cooperstown, N.Y.—not to be inducted, but to watch his bubble gum go on exhibit. Indeed, its winning season is still going strong. 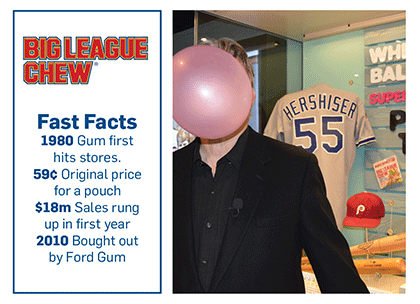 Having reached $18 million in sales in its debut year of 1980, Big League Chew—which Ford Gum & Machine bought from Wrigley in 2010—has sold more than 800 million pouches. 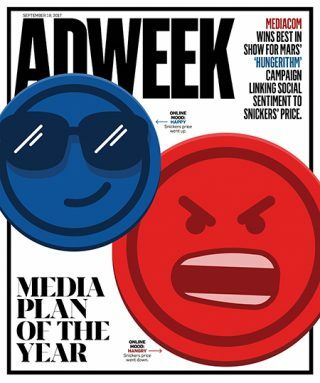 This story first appeared in the Sept. 18, 2017, issue of Adweek magazine. Click here to subscribe.